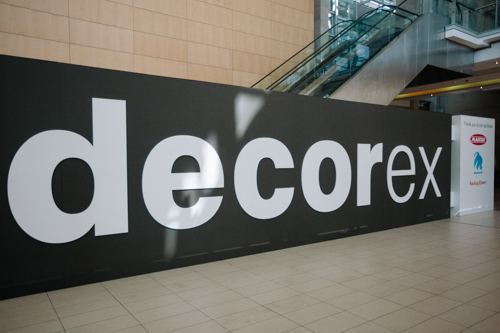 I attended Decorex Cape Town ’13 yesterday as an invited media guest. I’ve been attending in a personal capacity for over 7yrs and in that time I’ve noticed a large shift in exhibitors. 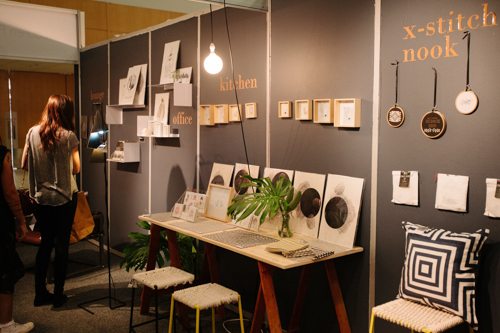 When it started it was smaller and niche, it’s growing into being more of a ‘on-stop’ shop, much like Homemakers is/was, which in my opinion makes it harder to find new, up and coming creative talent, many of whom are squirreled away between stands selling LED lighting or the latest flooring options. 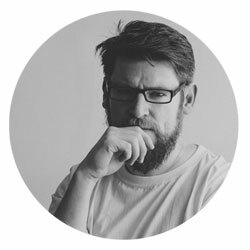 My hope is that this brief whirlwind tour will give you a few of my personal highlights and keep you design focused, unless your thing is ogling at scantily clad lederhosen wearing models? Incidentally, you’ll find a few of over at the Afrox Gas Stand. Right, so in no particular order, here are my show picks. 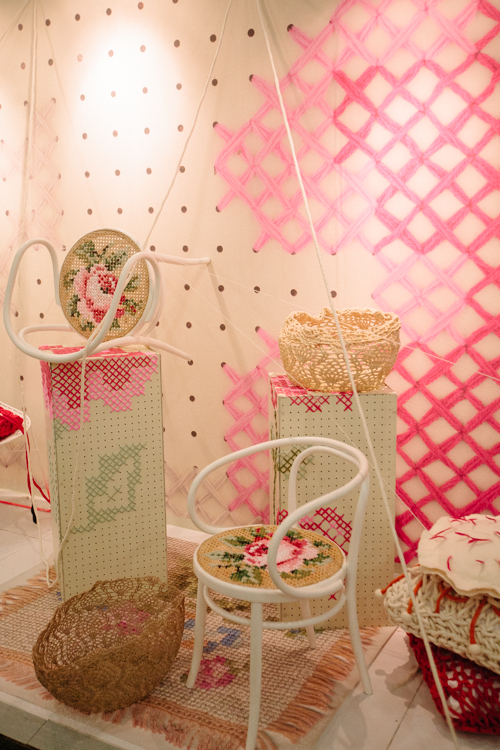 Revered stylist and interior designer, Tracy Lee Lynch chose to interpret this years theme, “Bliss”. 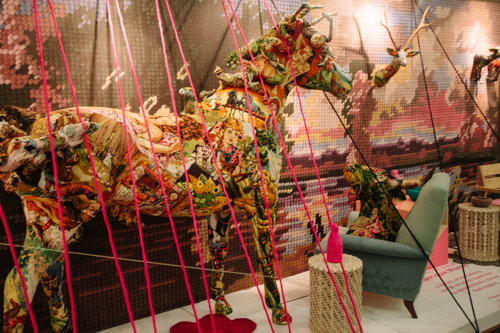 Her dramatic and beautiful entrance installation, showcases the worldwide revival of cross-stitch as a design trend, with her unique sense of whimsical nostalgia. French artist, Frederique Morrel’s up-cycled tapestry pieces are truly breathtaking. I was introduced to her work in the latest issue of VISI Magazine, but no image can do justice to her remarkable works. A MUST SEE! 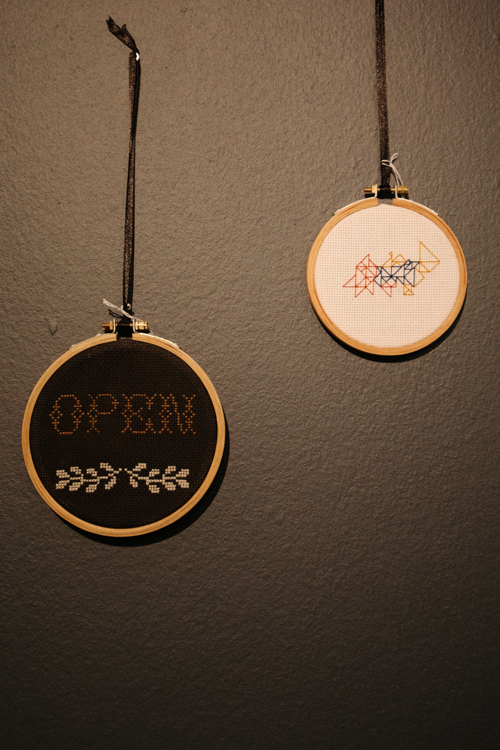 My dear friend, Lauren Fowler was out in full force, showcasing her line of all-consuming crafty goodness, from self-stitch cross-stitch kits to her adorable animal prints. 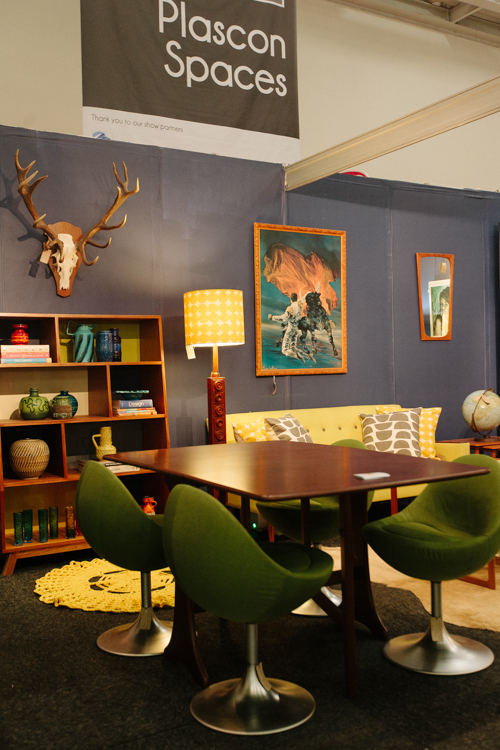 She shares her stand with decor from one of my favourite local furniture/homeware designers, Dark Horse. 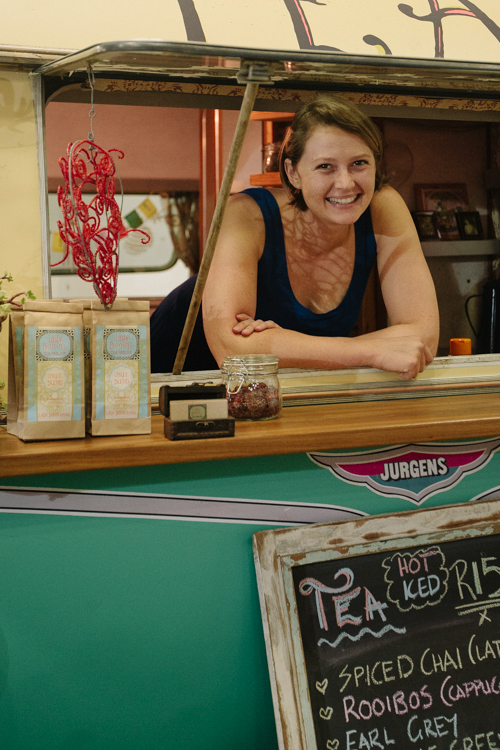 Make your way over to Lady Bonin’s Tea Parlour, Jess is serving up a special blend of tea just for the Decorex, tying into their “Bliss” theme, a blend of Rooibos, lavender and dried strawberries. 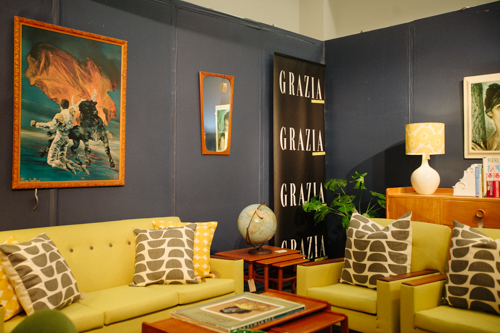 Grazia Magazine joins forces with Vamp Furniture to showcase this beautiful mid-century modern living room, complete with the Tretchikoff and J.H. Lynch prints. I’m loving Skinny Laminx new “rough cuts” patterns, they blend timelessly into most settings. As always, Stefan Frylinck from Space For Life has outdone himself. 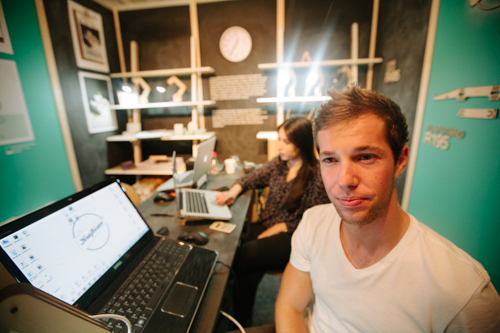 Visit his designer Scandinavian Room over at Volvo’s #MADEFORYOU Designer Pods. Kraftisan are joint exhibiting with Design Times, paying homage to Pantone’s colour of the year, Emerald. 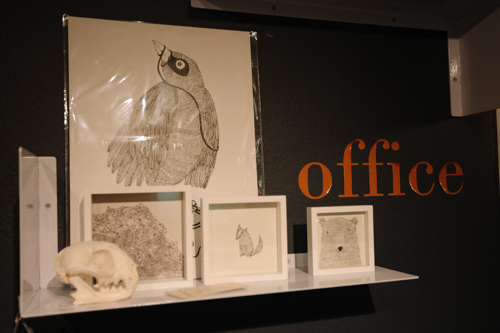 Take a peek at their latest Flapstand offering and stock up on Honest Chocolate and limited edition cover prints. 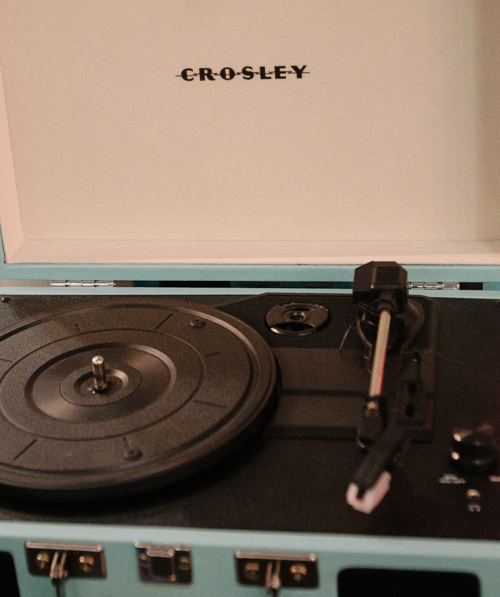 I’ve long admired Crosley turntables, a US brand that has been creating and selling low-cost turntables since 1920! They’ve not been available to local consumers, but have just landed a local distributor and will be hitting our shores at the end of the month. 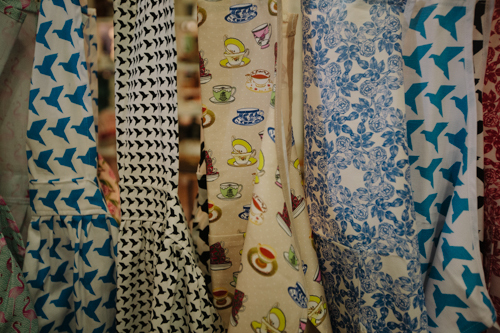 Head on over to the The Cape Craft & Design Institute’s stand and take a peek at some of the best local, small-scale artists and craftsmen. 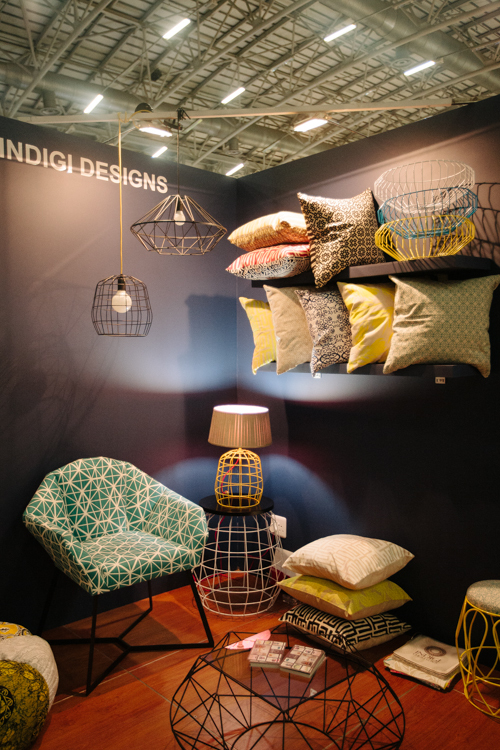 The show stopper for me has to be Indigi Designs, based in Woodstock they offer a wide range of textile design and bespoke steel homewares. 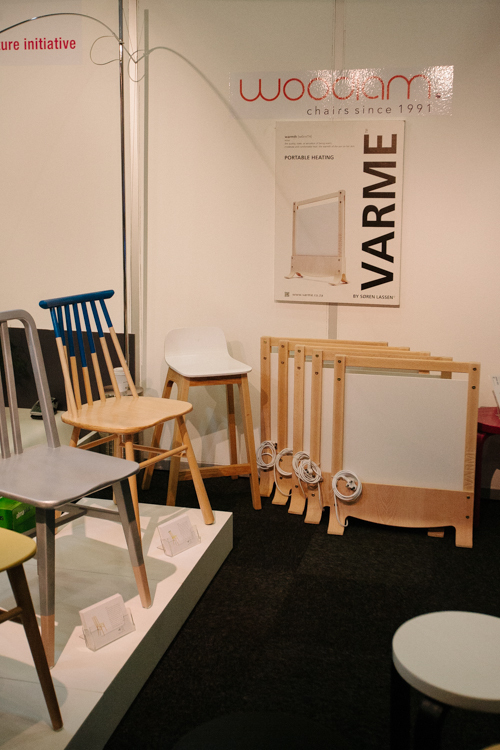 Lastly, Woodlam, everything is fantastic, but my highlight is their latest offering, a portable panel heater called the VARME, encased in a natural birch ply these heaters are not only functional, but aesthetically pleasing and a modest R1,500 each. 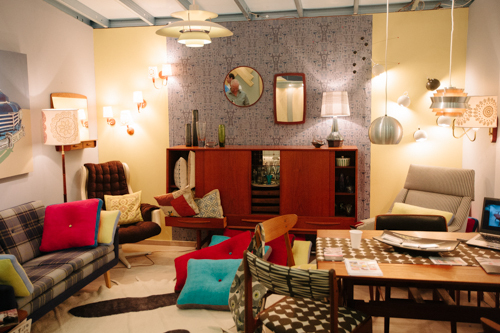 Decorex offers something for everyone, the design lover, avid DIY’er and tradesman. Even though I combed the floors for 2hrs, I’m sure I missed a few gems, so feel free to comment and share your own show highlights. Awesome! They are fantastic, the build quality isn’t at great as some of the higher end units, but portability wins out!